In the other benefits section where it says that lemon water helps purify the blood and will also control a tendency to bleed, how will this affect a person on Coumadin? First of all, for the sake of all of our readers, let’s define Coumadin. Coumadin is a brand name for warfarin, which is a blood thinner (anti-coagulant) medication. Coumadin is supposed to reduce the formation of blood clots by blocking the formation of certain clotting factors. It is used to prevent strokes, heart attacks, as well as blood clots in arteries and veins. Second of all, I have to say that I am not a medical doctor and cannot advise anything related to medication. So any comments I make here are strictly for the purpose of education and should not be taken as advice. The most important thing to understand with lemon water in regards to the blood is that it is normalizing. In other words, if the blood is too thick or sticky, it will help to purify the blood and make it more free flowing. 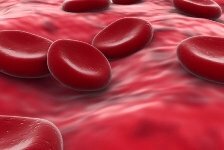 If the blood is too thin, it can help improve normal coagulation. Another important factor is that our blood must remain constant at a slightly alkaline pH (normal is 7.365 pH). The fact that lemon water helps to alkalize bodily fluids means that the body will have to work less hard to keep the blood alkaline. If the body is very acidic (from toxic accumulation, free radical damage, drugs, alcohol, tobacco, poor food choices, excess stress, etc.) it will pull alkaline minerals, such as calcium, magnesium, and phosphorus, from the bones and teeth to buffer the acids and keep the blood alkaline. Thus, drinking lemon water can help to maintain the optimal acid-alkaline balance in the blood. Regarding Coumadin’s interactions with lemon water, I have looked at various drug information sites and I am not seeing any mention of having to avoid lemons when taking Coumadin. For example, according to Drugs.com, there are several lifestyle and food interactions for Coumadin. These include (1) alcohol and tobacco, (2) multivitamins that contain vitamin K, (3) foods rich in vitamin K including beef liver, broccoli, brussels sprouts, cabbage, collard greens, endive, kale, lettuce, mustard greens, parsley, soy beans, spinach, Swiss chard, turnip greens, watercress, and other green leafy vegetables, (4) large amounts of mango fruit, (5) cranberries and cranberry juice, and (6) soy milk. You can read more details at Drugs.com. . . However, as mentioned earlier, people taking a blood thinner should first ask their doctor if there is any reason they should not be able to drink lemon water while taking the medication. There are always exceptions to the rules, depending on various other health factors.